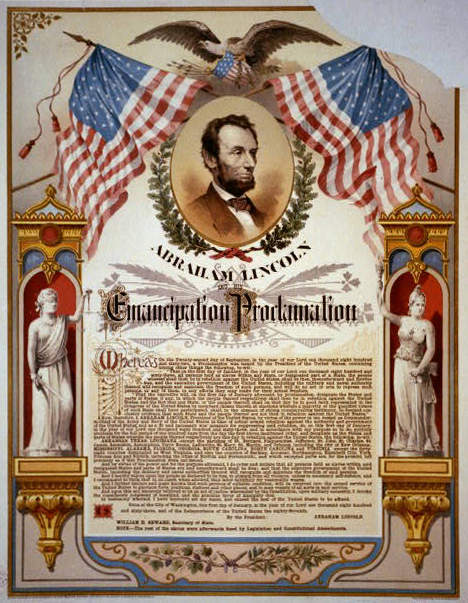 Was There a Confederate Emancipation Proclamation? This is another in a series of posts on slavery, the Constitution and the Civil War written for the Marquette University celebration of the sesquicentennial of the Emancipation Proclamation. 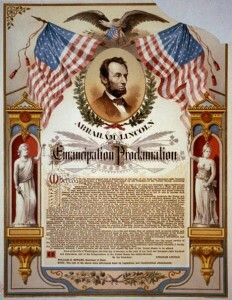 Although the Civil War was, at its core, fought to preserve slavery, during the war concern for the preservation of the Confederate nation led some of the breakaway country’s leaders to contemplate the unthinkable—the emancipation of African-American slaves in exchange for their service in the Confederate military. Although Confederate diplomats, in their search for support in England and France, somewhat disingenuously implied that the South planned to eventually abandon slavery during the early years of the Civil War, Southern efforts to abolish the “peculiar institution” really began in late 1863 with Confederate general Patrick Cleburne of the Army of the Tennessee. Fearing the worst for his adopted country, the Irish-born Cleburne circulated a written document to his fellow officers that proposed that the Confederacy replenish its ranks with armed black soldiers who would be brought into the Rebel Army with a promise of freedom for themselves and their families. As Cleburne must have realized, the widespread emancipation of black soldiers and their families would make it impossible to keep other African-Americans as slaves once the war was over. Cleburne’s memo eventually came to the attention of Confederate President Jefferson Davis and his cabinet. Although it initially attracted little support, continued military setbacks prompted a number of Confederate leaders to reconsider the proposal. Included on the list of those intrigued by Cleburne’s suggestion included Confederate Secretary of the Treasury Judah Benjamin, five separate Confederate state governors who endorsed the black soldier proposal, General Robert E. Lee, and Jefferson Davis, himself. In spite of evidence of growing support for the idea, the majority of white Confederates who spoke on the issue continued to oppose emancipation, even for military purposes. However, by March 13, 1865, the situation was extremely dire as the relentless press of the armies under the command of Ulysses S. Grant drove into the heart of Virginia, threatening Richmond, the Confederate capital. After a plea from Robert E. Lee for black troops, the Confederate Congress, under siege in Richmond, that day authorized the recruitment of black slaves into the Southern Army. Although this particular statute technically freed no slaves—under its terms only slaves who were voluntarily freed by their owners could enlist in the Confederate Army—opposition to the end of slavery was still so strong that the bill only passed by narrow 40-37 and 9-8 margins in the Confederate House and Senate. At the same time, it was apparent that if this program was successful, a more aggressive emancipation program would have followed. As it turned out, the Confederacy did not last long enough to see if the policy begun in March 1865 would have led to widespread emancipation in the South. About 200 newly freed slaves were mustered into the Confederate military in Virginia but Lee’s surrender to Grant at Appomattox on April 9, 1865, eliminated the possibility of the further use of black Confederate troops. Obviously, the Confederate turn to the use of manumitted African-American troops in the last days of the Civil War was first and foremost an act of desperation and not likely the result of a newly found commitment to the cause of anti-slavery. However, the episode does further accentuate the fact that the Civil War doomed slavery. Even if the Confederacy in some alternate timeline figured out how to avoid the inevitable and managed to survive the war intact, it is almost certain that slavery would not have survived in that postwar C.S.A. Did the Confederacy adopt a policy of emancipation? Not really, but it was moving toward a decision to do so as it became apparent that only radical measures could save the Confederate nation. However, time ran out on the Stars and Bars before the Confederate government could act on a more broad-based emancipation. The story of support for emancipation among Confederates during the Civil War is told in great detail in Bruce Levine, Confederate Emancipation: Southern Plans to Free and Arm Slaves During the Civil War. Oxford University Press, 2005.